Our durable top-loading alpine backpack Eiger is made of uncompromised robust 100% Cordura materials. Take it and use it for: Ski alpinism, winter trek, Alpinism or just for trekking in Alps or Pyrenees. 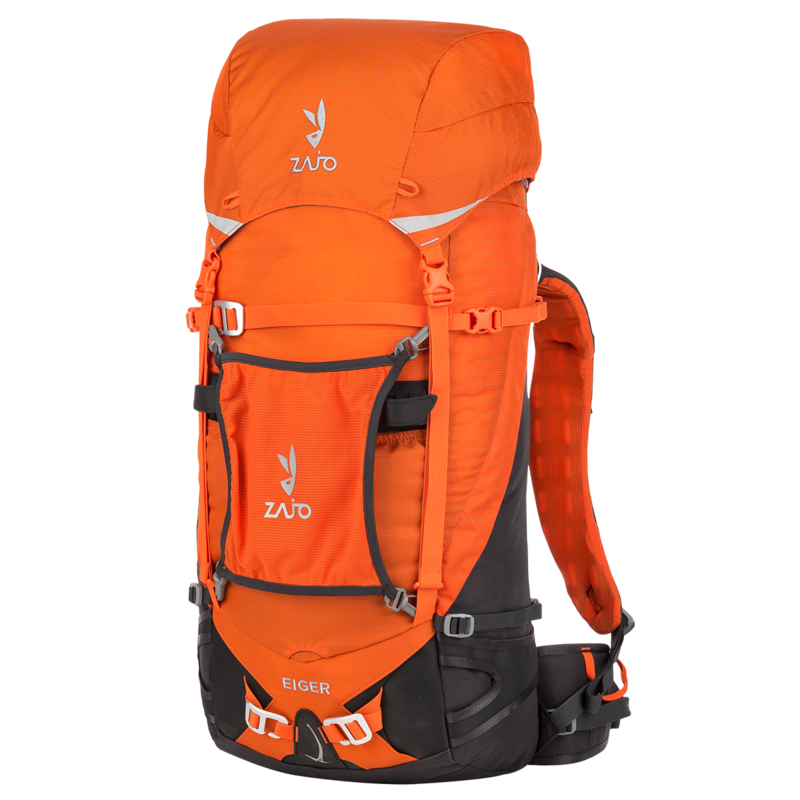 This backpack is designed for hard conditions and whole year use. Durable attaching systems of Iceaxes, trekking poles, skies, crampons and all other climbing gears are smart and very simple to use. Special roll-up system with removable rope strap under top-lid secure gear to the outside, while the drawcord skirt provides a second defense against light precipitation. Direct Vent back system in 2 sizes gives you enhanced support for your back. Raincover on the bottom keeps your backpack dry and safe. You can use it as pad for sitting on the ground or wet surface (for example dewy grass) even with your backpack on. Integrated mesh helmet holder can be attached in 2 positions. Hydration bladder holder and tube port are matter of course. If you usually carry backpack in old fashioned way – without hipbelt, do it. You can detach it and wear it as you wish. 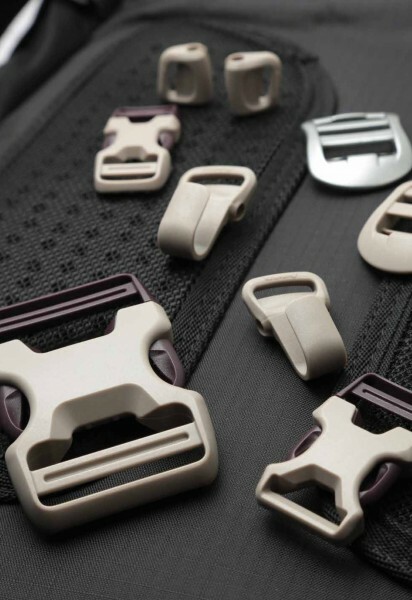 We use the best and the strongest materials on the market for high-end quality (Cordura, Hypalon) and mark of that is NIFCO/Duraflex buckles and YKK zippers.